Stunning "glitter" dog collar in emerald green! 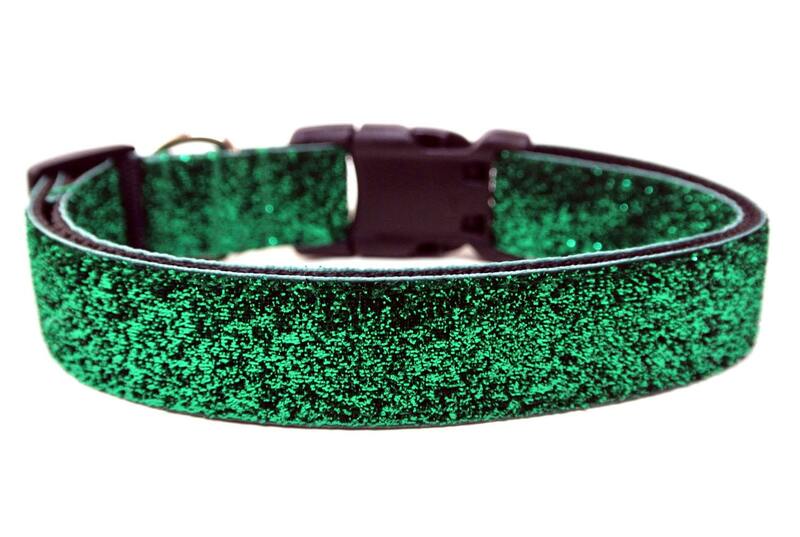 This glitter dog collar is made with black nylon webbing, a matching black side release buckle, and emerald green "no mess" glitter all over. 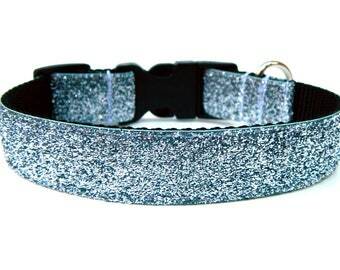 The glitter does no shed :) Perfect to add some bling to your sweet doggie! Please indicate which size you would like...note that all sizes on this bling dog collar have coordinating hardware. Add a note in checkout your dogs name and size. SO many other colors available like red (in my shop), pink, gold, purple, teal...let me know your favorite color and I am sure it is available!